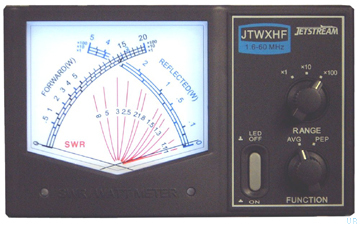 Jetstream JTWXHF and JTWXVU meters use a true directional coupler for increased accuracy and low bias Schottky diode detectors for increased linearity. 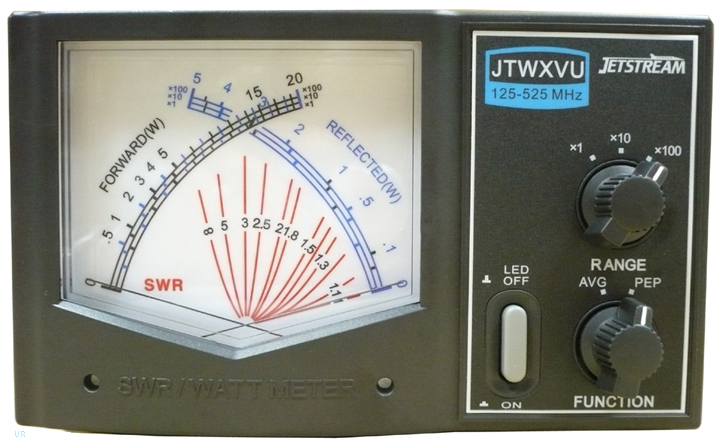 The large cross needle meter simultaneously displays forward and reflected power with SWR. The LED back lighting provides smooth, even illumination. The rugged metal cabinet with speckled black finish and grey injected molded front panel complements today's modern transceivers. Supplied with DC power cable. 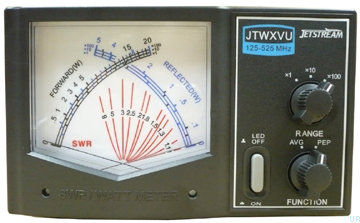 Requires 9-14 VDC at 200 mA max. Copyright 2010-2018, Universal Radio, Inc.